Last week, Azure‘s editors left no stone unturned in our search for top new talents at the Toronto Design Offsite Festival and the Interior Design Show. Here are five fresh designers who have landed on our radar. Looking for a creative and therapeutic outlet while recovering from a brain injury, Hanae Baruchel began to experiment with the malleability of materials whenever she had the energy. Two years later, the Toronto designer and founder of her own studio, Lalaya Design, was showcasing her newfound talent at the Prototype section of IDS. 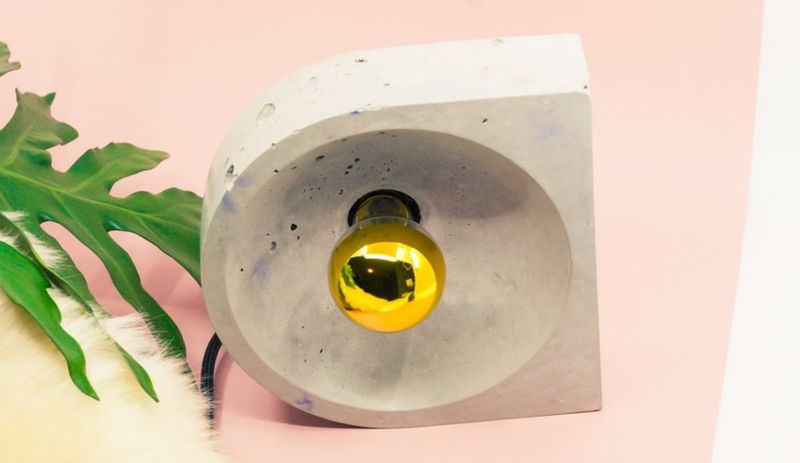 Particularly attracted to the versatility of concrete, Baruchel has focused on drawing the beauty out of the hard, industrial substance, evident with her Ka Tsi Ka Ta and Ta Ka Tis Ka side tables and Ayê lamp that were on display. 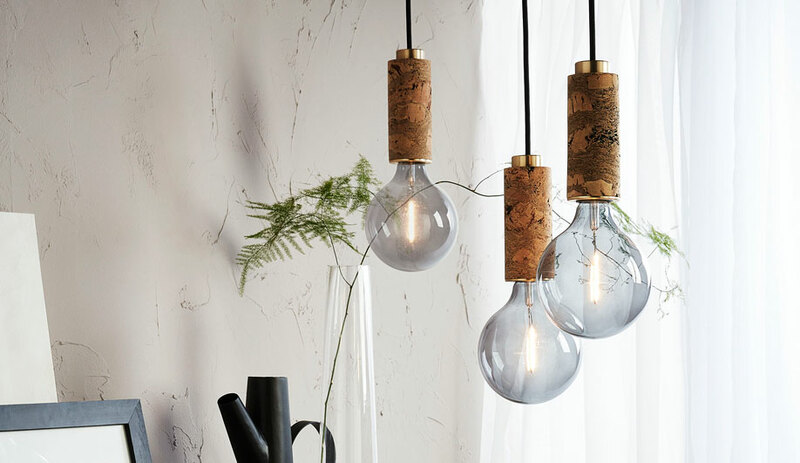 Both smooth and textural, the table surfaces and delicate eggshell-thin lamps reveal the supple nature of concrete, and are pockmarked to perfection. The lyrical names she gives her works are indicative of another of the young designer’s passion and inspiration, the lightness and harmony of music: the titles of her tables riff on the sound of Brazil’s traditional drums and her lamps take their name from a phrase common in songs. We came across the work of Nicholas Hamilton Holmes twice during Toronto’s Design Week. 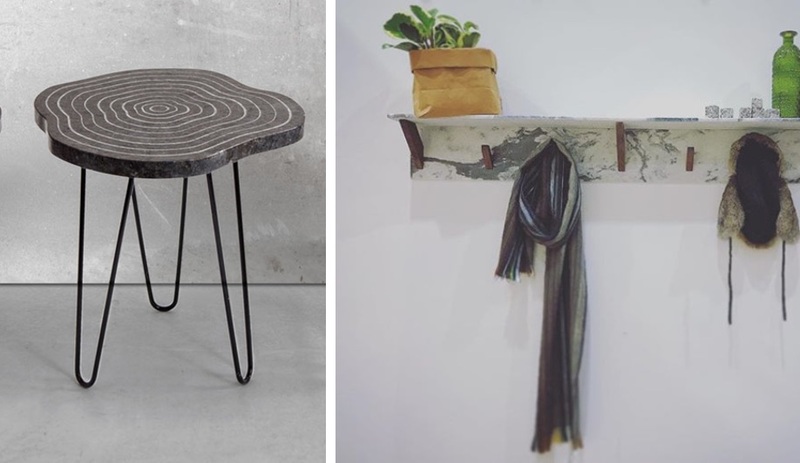 A new-to-us designer from Hamilton Ontario, we first admired the limited run furniture maker’s Shoreman Bench at the Ontario Wood installation at the IDS. 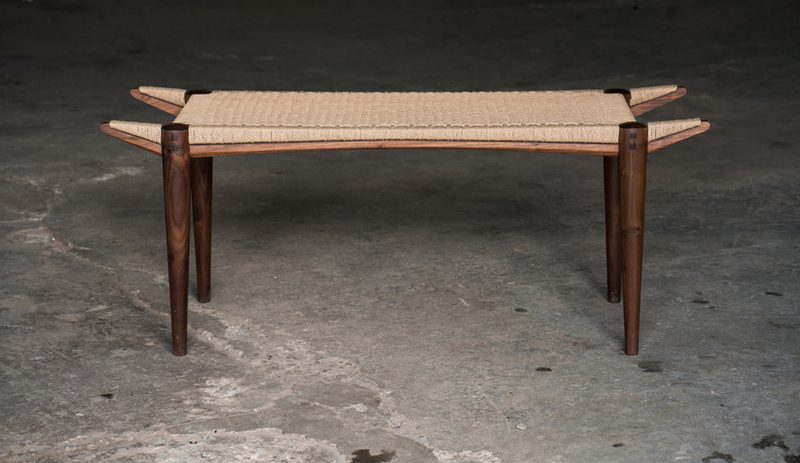 Available in oiled walnut, ash and oak and made in small batches, the heirloom-quality, collector piece features a handwoven Danish paper cord seat and incredibly strong – and cool-looking – three-way joinery. And we ran into Holmes’ work again at Matter, an offsite show exploring the transformation of material (above). Featuring the work of 12 local and international artists and designers, his META sculptures were showcased amongst that of such major leaguers as Studio Swine and Dear Human, all reworking the very stuff from which everything is made. 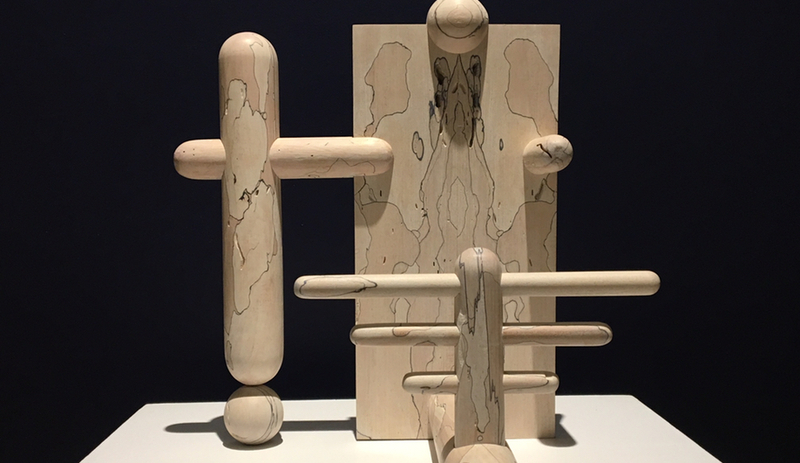 Employing leftover spalted maple, Holmes riffed on traditional furniture motifs to produce a series of beautiful but bizarre objects that the viewer must decide are useful or useless. Having shown his admiral craftsmanship, contemporary styling and thoughtful approach in such great company, we’d say Holmes is surpassing “emerging” in leaps and we look forward to seeing more from him. Jean-François Bussière launched Atelier Bussière in Quebec’s Eastern Townships back in 2010, making bespoke countertops in granite, marble and quartz countertop. 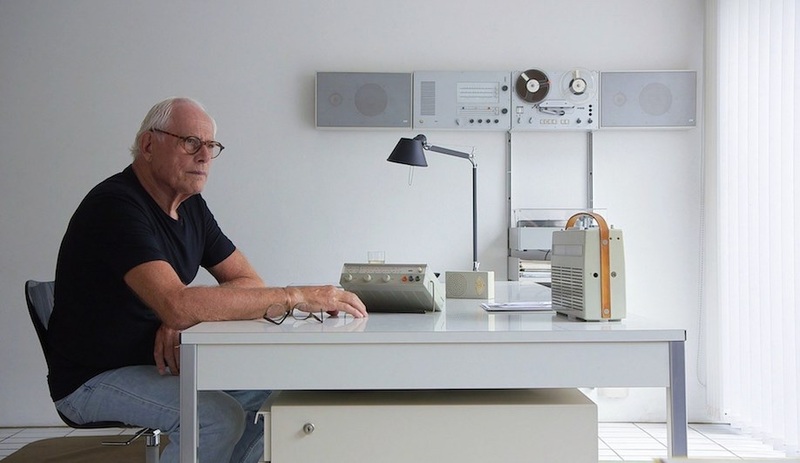 The studio was 25 employees strong when he sold the business in 2016, leaving Bussière alone with a workshop full of stone offcuts and tools. 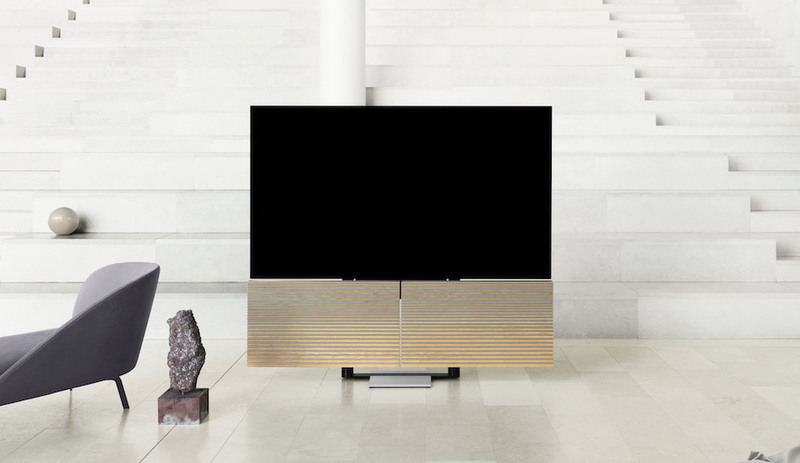 Since then the designer has focused on creating one-of-a-kind furniture pieces and accessories using stone and locally sourced wood. Jean-François Bussière exhibited in the Maker section of IDS. Just two weeks before exhibiting in the Maker section at IDS, Bussière threw together a pair of unique shelves, in granite, marble and walnut, to adorn the white walls of his booth. The new shelves framed a series of handcrafted furniture such as the CNC-carved Log side tables, as well as smaller objects including lamps, tablet stands, vases and planters. 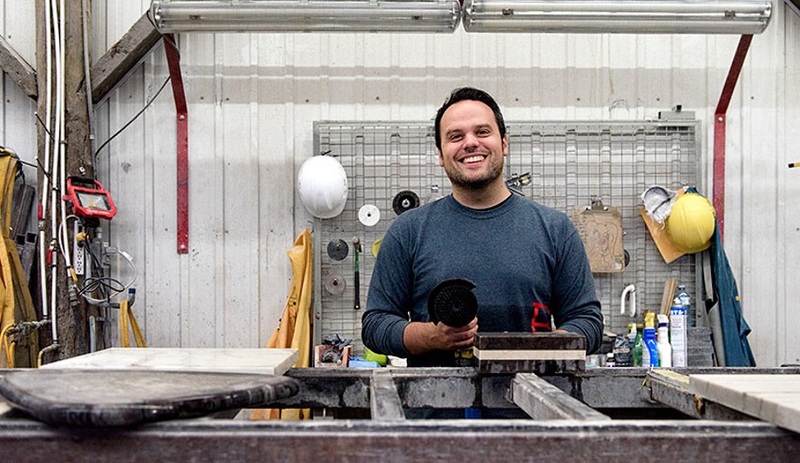 Edmonton-based industrial designer Ryan Spotowski wants to cast concrete in a different light. 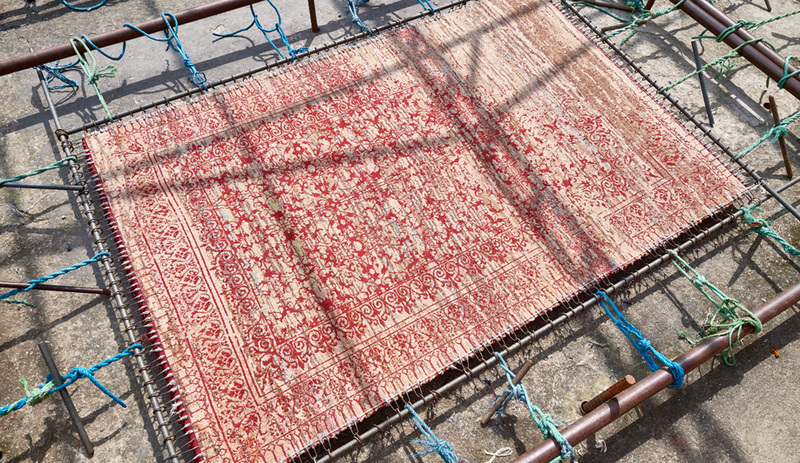 The material, he tells us, is integral to cities – it’s in columns, floors, walls, skylines, everywhere – but it’s rarely cherished in domestic settings. 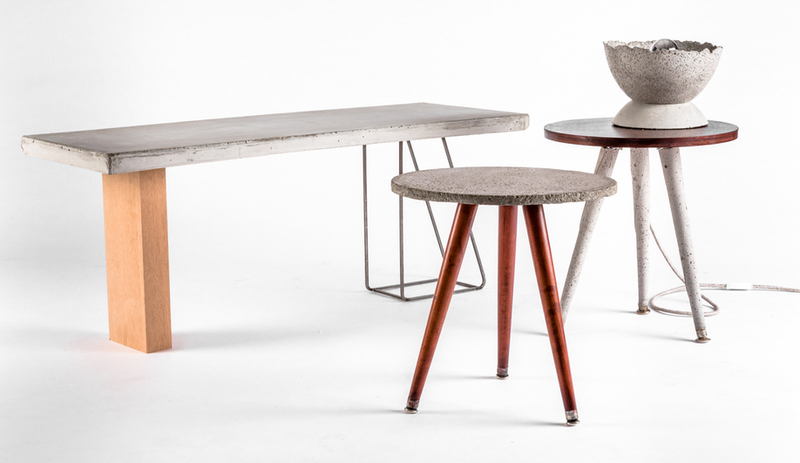 Ryspot Design challenges that assertion: using castoffs, he creates furniture that’s simple, beautiful and unflinchingly concrete. 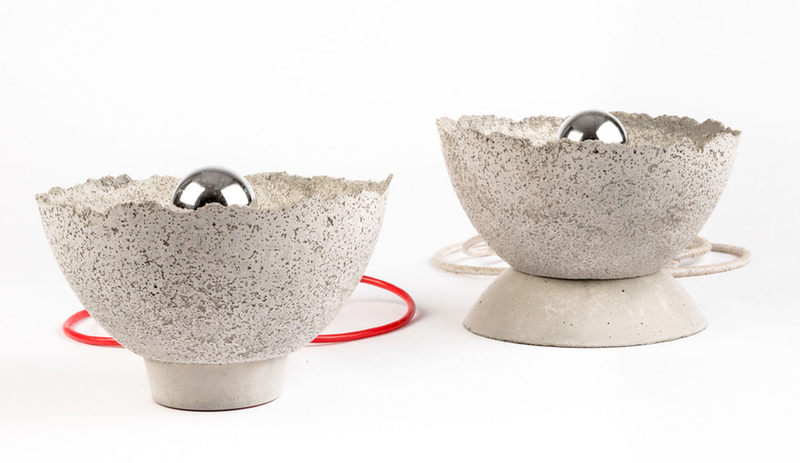 In the Prototype section of IDS, the Albertan designer unveiled a range of accessories and furniture, including the gorgeously pockmarked Beton Clipse light (below) and a range of bowls and candleholders. 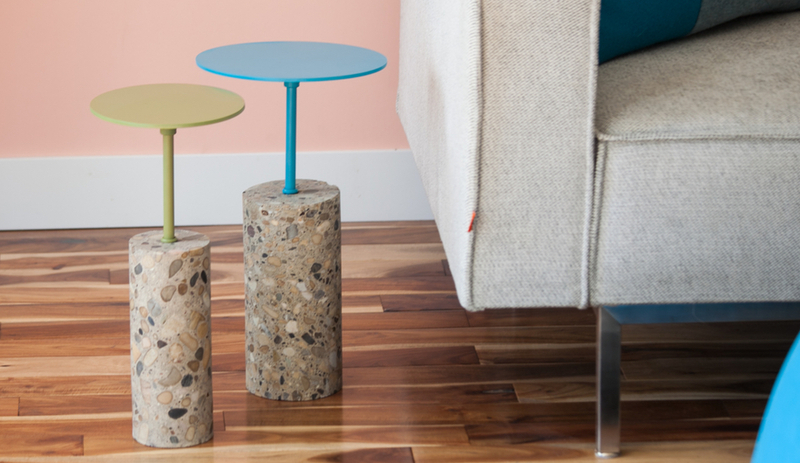 But his Core tables, which feature a terrazzo-esque compacted aggregate base and a simple, painted steel surface, were especially stunning. According to the old saw, those who can do and those who can’t teach. Well, forget it, at least in the case of Justin Bailey, a young professor at Indiana University’s School of Art, Architecture and Design who is also a promising furniture and lighting designer. 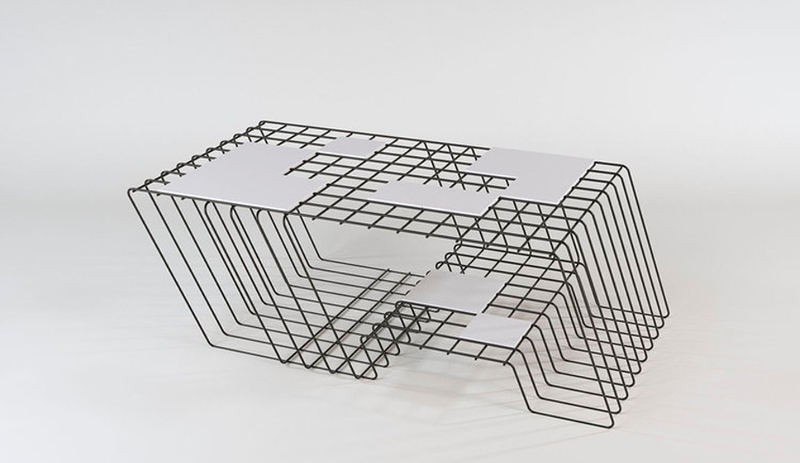 Witness his Calderesque Iso Table, featured in the Prototypes show at IDS and inspired by an isometric drawing. Made of bent steel rods and modular Corian solid surface tiles, the table is as much a three-dimensional line rendering as it is a functional piece of furniture. The uniquely slanted table, which tilts at 15-degree angles in two directions, evokes both the bold ink lines used in drafting and, when viewed from above, the outlines of an architectural plan (with coasters instead of closets). It follows in the footsteps of other chic yet cerebral work. 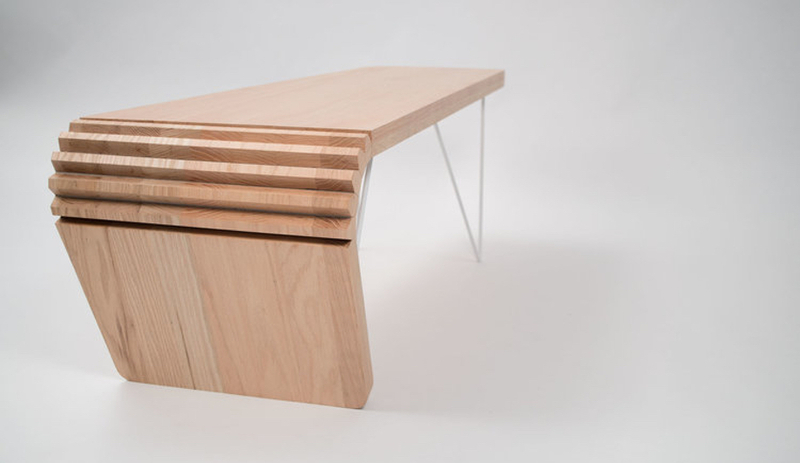 To create his Kerf Table (above), Bailey attached an exaggerated kerf-type bend to one end of a solid wood board, making it resemble an airplane wing. His Polyp Lamps are inspired by polyps on the ocean floor and sport shades made of post-consumer paper. Clearly, Bailey can walk the walk in both design and academia. Expect to hear more about this brainy genre-buster.